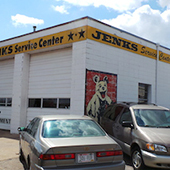 Jenks Service Center is locally owned and operated since 1949. Jenks is conveniently located 1 mile north of the Beltline Highway 12/18 on Stoughton Road (highway 51). 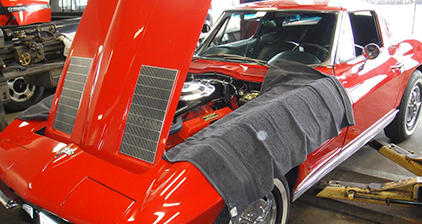 Jenks expert auto repair technicians have over 100 years of technical knowledge and experience to repair your automobile. We have the know how to deal with the most challenging auto and trucks problems for all makes and models. 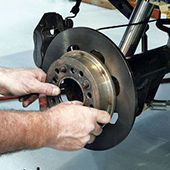 We specialize in brakes and alignments. For a high-performing vehicle, trust Jenks Service Center with your car, truck, or van. To learn more about the services we offer, please contact us by phone at 608-222-3761 or send us an email. We also invite you to learn more about our dedication to you, our valued customer. 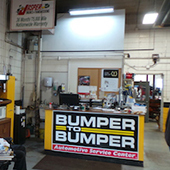 Jenks Service Center is a full-service preventive maintenance and auto repair center. 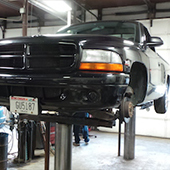 Jenks Service Center has been performing high quality, guaranteed auto, SUV, and truck repairs in the Madison area since 1948. We service and repair all imported and domestic cars and trucks. Bring in your imported and domestic auto, SUV, or pickup today with complete confidence that your auto will be serviced or repaired correctly the first time. Don't be worried about the factory warranty on your new car! We have the staff, skills, training, and equipment necessary to perform all required maintenance on your new car or truck while maintaining your warranty. We are the preferred alternative to the dealership for all scheduled maintenance of your personal car or truck, as well as your fleet vehicle. Need towing we can help you. We use Liberty Towing 608-291-0707. We Guarantee all of our work and know you'll be happy with the results. Give us a call at 608-222-3761 or stop in to let us know how we can help you.